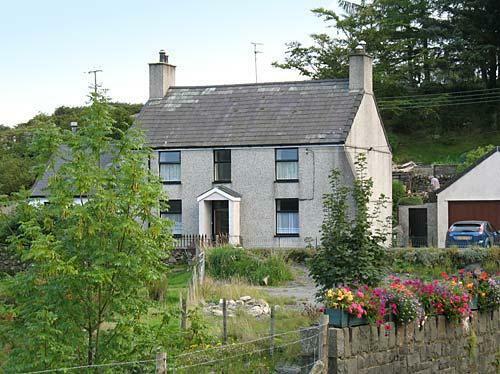 Ty Capel was built in 1889 and in 2005/6 was extended and refurbished to add a stunning modern sitting room looking out over Snowdon and new bathrooms, two toilets and a utility room. In 2007 the dining room was refurbished and now has an exposed stone wall with the original slate fireplace and an oak strip floor. During 2008 the two front bedrooms were upgraded a 5ft bed added and more oak floors added downstairs. 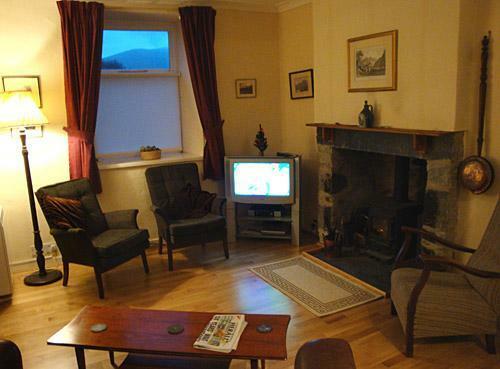 Improvements continue with new double glazed windows fitted in 2009/10 and a new Aga type stove. The village of Rhyd Ddu, which has an award winning pub (CAMRA best in Snowdonia) serving real ales and good food, is 3 miles from Beddgelert, 9 miles from Caernarfon and 9 miles from the award winning beach of Dinas Dinlle. The Welsh Highland Railway (narrow gauge steam) which starts in Caernarfon, runs past the house and has now reached Porthmadog. 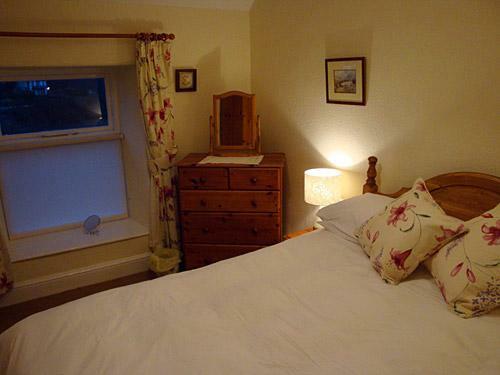 Ty Capel is an excellent base for walking, bird watching, fishing, golfing and visiting the many places of interest in the area. 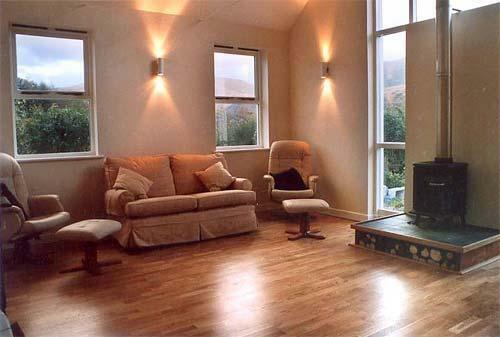 Downstairs there is a large living room with Aga type stove at one end and an inglenook fireplace with woodburning stove at the other. Off this is the Chapel Room with another woodburning stove looking out over the large garden and Snowdon summit, with patio doors leading to a sheltered, south facing terrace with tables, chairs and beautiful flowers. 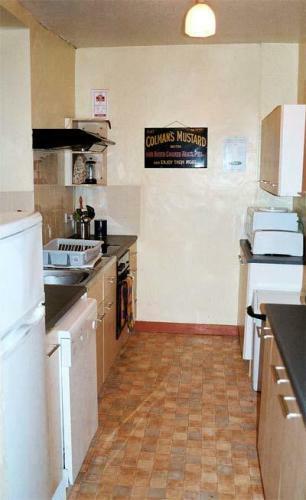 The fully equipped galley type kitchen is off the living room and to the rear is a new shower room, separate toilet and utility room where there is a second fridge. 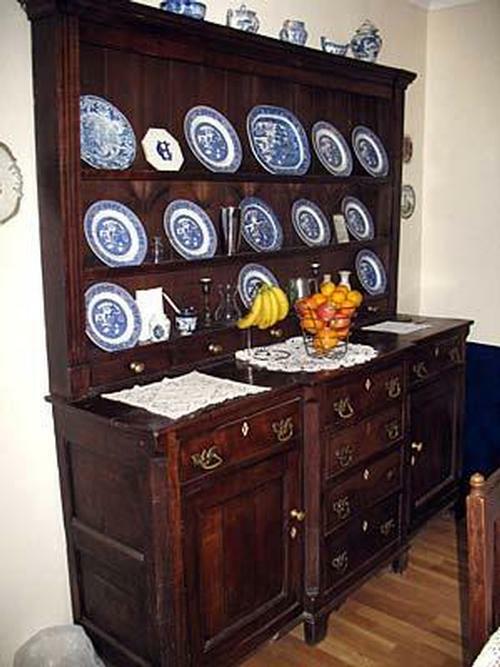 There is also a separate dining room with a large table and antique Welsh dresser. Upstairs there are four bedrooms, two with double beds (one king size), one with twin beds and one with three single beds. Off the landing is a large modern bathroom. 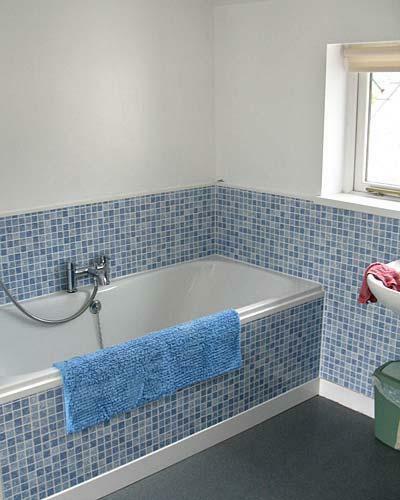 From the bath you can see the summit of Snowdon and two narrow gauge railways. There is also a separate toilet. Outside there is a large secluded garden with uninterrupted views of the mountains and gates to stop small children escaping. There is secure car parking for 4/5 cars alongside the house and adjacent is our gated private car park for more parking or football. The house is warm with newly installed central heating and includes the following equipment: fridge freezer, second fridge, microwave, dishwasher, hob, oven, toasters, kettle, washing machine, iron and ironing board, cd, tape and radio player, large screen tv with free-to-air satellite, video player (on separate tv), dvd player, payphone (your mobile will not work here), Aga type stove for cooking and water heating. 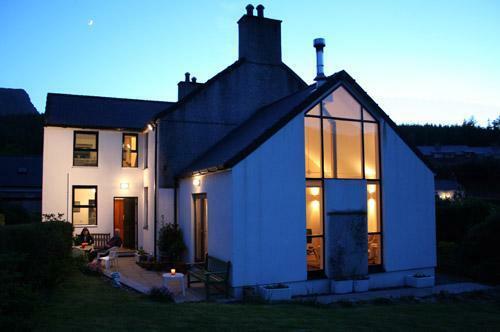 Weekly lets Friday to Friday, short breaks available. Bed linen is supplied so you only have to bring towels. For others' comfort and well being, no pets or smoking allowed. 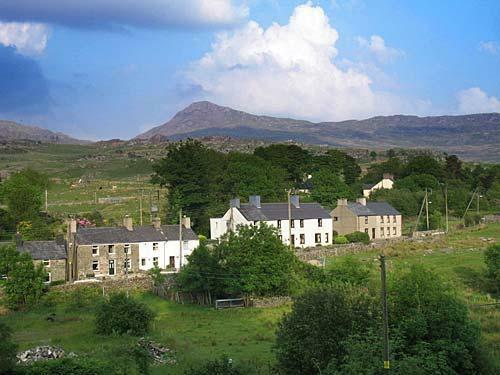 The village of Rhyd Ddu consists of a handful of houses and a pub surrounded by the mountains of the Snowdonia National Park. 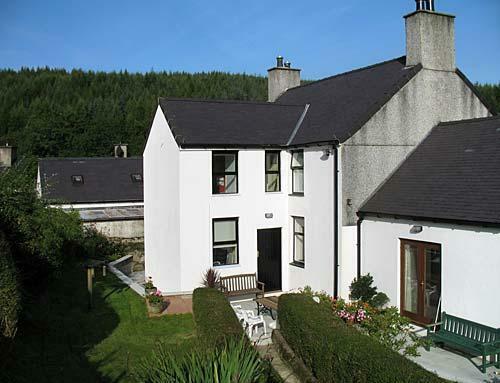 Ty Capel (chapel house in Welsh) is the finest house in the area both for accommodation and position. You will remember your visit for ever. 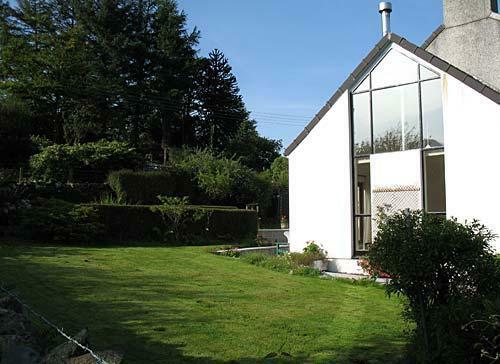 The owners have had a house in the village for over 30 years and still enjoy holidays there with their children and grandchildren. Cwellyn arms, the pub opposite the house, offers a full range of food and great real ales. Ty Mawr tea room in the village offers a wide range of home cooked food including evening meals. Fish and chips available in Beddgelert in the summer. If it is active holiday you want, Ty Capel is the place. 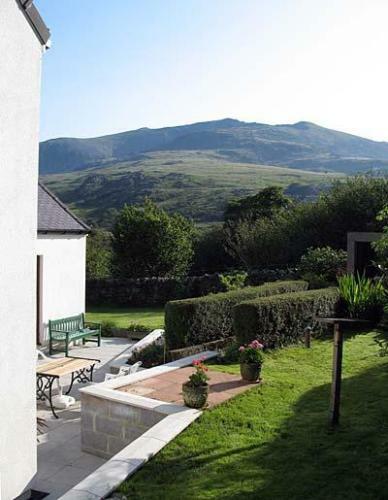 The Snowdon path starts outside the door, the Nantlle Ridge which has Wales' newest mountain and other great climbs start from the village without a boring drive. If you land up on the other side of Snowdon then a regular Summer bus service (Snowdon Sherpa) will drop you back at the door. 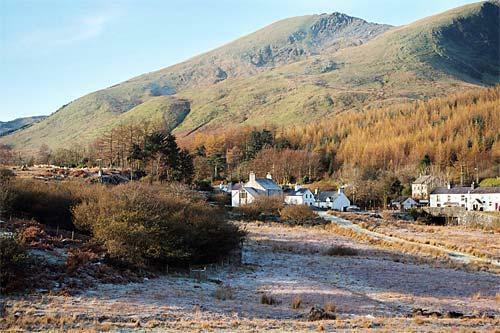 Mountain biking can be had including bike hire in Beddgelert Forest 2 miles down the road. Beacons Indoor Climbing Centre is only 5 miles away, kayaking, surfing, sailing and diving can all be found in rivers, lakes and sea nearby. Snowdonia is the adventure capital of Britain wth zip lines at Bethesda and Blaenau Ffestiniog, Surf Snowdonia, Bounce below , toboggans and Treetop adventures. The Snowdon Marathon passes the door as do Triathlons and bike races. For golfers there are courses at Porthmadog, Criccieth, Royal Harlech, Morfa Nefyn and Caernarfon. Beaches - Dinas Dinlle, Black Rock Sands, Borth y Gest. 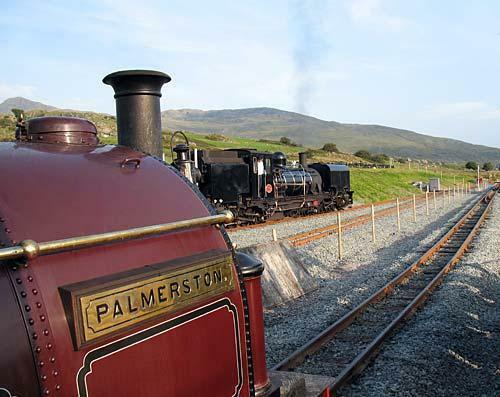 Narrow Gauge Railways - Welsh Highland, Ffestiniog, Snowdon mountain and many more within easy reach. A narrow gauge steam railway passes 100m from the bottom of the garden with a station in the village which makes it a mecca for steam enthusiasts. 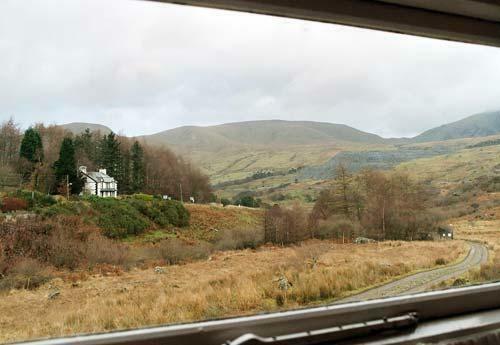 In 2011 the line opened all the way to Porthmadog, and Rhyd Ddu became the halfway point on its 25 mile route. Castles - Caernarfon, Harlech, Conwy, Penrhyn, Criccieth and Beaumaris. Fishing - three local lakes and rivers, permits available in the pub. Bird Watching - the only nesting pair of Ospreys in Wales were back again last year at Beddgelert with three chicks and our garden has many visitors. 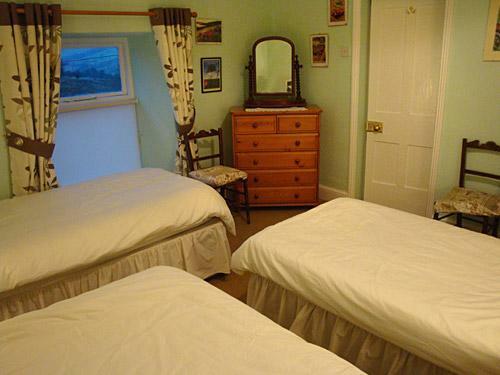 The rent includes heating, electricity and linen (but not towels - these can be provided at extra cost). Deposit one third of of rent, balance 8 weeks before arrival.